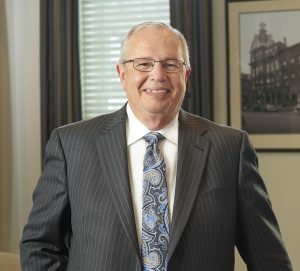 Philip Emma, President of Merrimack County Savings Bank, Chief Operating Officer of New Hampshire Mutual Bancorp, effective October 1, 2018. Philip Emma has been appointed Chief Operating Officer of New Hampshire Mutual Bancorp (NHMB), effective October 1, 2018. As Chief Operating Officer, Emma will oversee Digital Banking, Deposit and Loan Services, IT, Risk, Compliance and Facilities for Merrimack County Savings Bank (the Merrimack), Meredith Village Savings Bank (MVSB), Savings Bank of Walpole and MillRiver Wealth Management (MillRiver). Additionally, he will lead the NHMB team charged with the integration of Savings Bank of Walpole. Emma, who currently serves as President of the Merrimack, will also continue in this role while a search for his successor is conducted. New Hampshire Mutual Bancorp is a mutual holding company formed in 2013 from the formal affiliation of Meredith Village Savings Bank and Merrimack County Savings Bank. MillRiver Wealth Management joined as a third subsidiary of NHMB in 2015 and Savings Bank of Walpole joined as a fourth subsidiary in July of 2018. NHMB combined assets total more than $2.2 billion. For more information, about NHMB visit nhmutual.com.